Sony's new Vaio S Series laptop continues the Japanese company's tradition of stuffing its flagship device with the very latest tech available, then serving it up in a cool, slimline business chassis. The spec sheet alone flicks the metaphorical middle finger up at its Ultrabook-christened rivals and that's before you've even begun to use it. The features of this laptop, not to mention the asking price, establish the S Series alongside the Dell XPS 14, Apple MacBook Air 2012 and the Samsung Series 9, in the top tier of ultraportable, ultra-premium notebooks. The Vaio S Series 13P keeps the familiar sharp edges and lightweight design we remember from earlier models and the same brushed metallic design that gives this laptop its business credentials. The Vaio Series S 13P measures 328 x 226 x 21mm and weighs 1.6kg, which makes it thicker and heavier than an Ultrabook, but by no means are you going to struggle to slip this into a satchel or briefcase and carry it around for a day. Predictably, even under heavy use the chassis remains cool to the touch and very quiet. These attributes make the specifications that Sony has packed into the Vaio S Series 13P even more impressive. First up is the new Intel Ivy Bridge i7 processor. Its four cores give it a clock speed of 2.90GHz, and it's assisted in the graphics department by a dedicated NVidia Ge Force GTM graphics card. The slimness of the chassis hasn't stoped Sony from adding a slot-loading Blu-ray drive and on the opposite side you'll find the latest ports and connections - including Thunderbolt. In times gone by it was easy to have a crack at Sony laptops for their particularly high prices, but the new option to customise components means this is less of an issue. 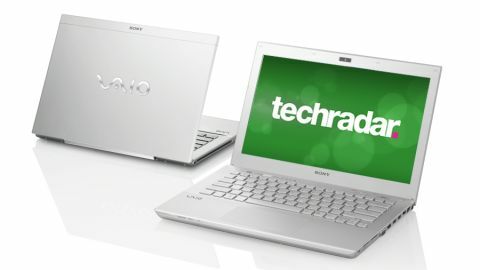 You're still going to have to pay handsomely to get the best out of the Sony Vaio S Series 13P (our review unit configuration came in at £1,822) but, to be perfectly honest, it's well worth it.